Glass is primarily made of sand, soda ash, and lime. All colors and sizes of glass bottles and jars are recyclable in Santa Fe at BuRRT, City of Santa Fe Drop Off Centers and Santa Fe County Convenience Centers. It requires a lot of energy to heat the virgin materials to make glass and it can take hundreds of thousands of years for glass to break down in a landfill. Glass makes up a large component of household and industrial waste due to its weight, and it takes up precious landfill space and contributes to landfill expansion. BuRRT receives an average of 160 tons of glass per month from Santa Fe businesses and residents. Glass is very inexpensive to make, but the cost of transportation due to the heavy weight makes it expensive for glass to be recycled in Santa Fe. 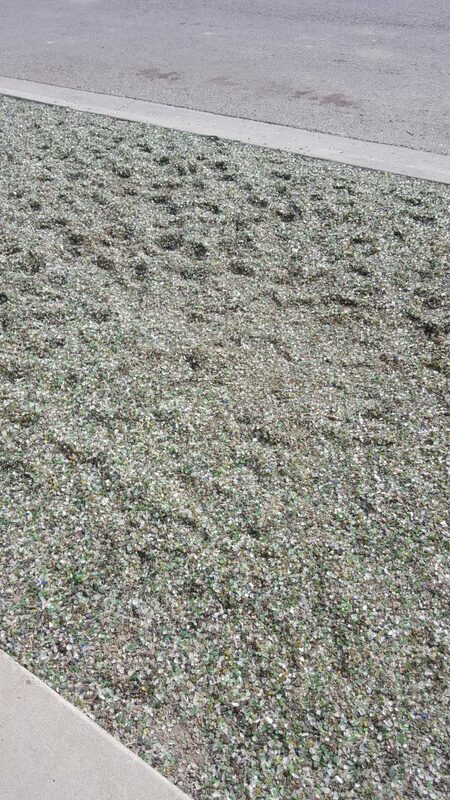 Currently, glass is crushed at BuRRT and the crushed glass acts as part of the landfill liner to collect the leachate that settles at the bottom. Also, glass is transported to Colorado to be recycled bottle for bottle. Check out the Donation page to see where you can donate vases, drinking glasses, mirrors, etc. to extend the life of your glass. Did you know…Tempered Glass and Ceramics are NOT Recyclable? Tempered glass, such as drinking glasses, eye glasses, auto and window glass, are usually made to be shatter proof and cannot be recycled due to their different chemical additives and coatings. Ceramic ware, such as mugs and plates, also cannot be recycled due to their different composition. 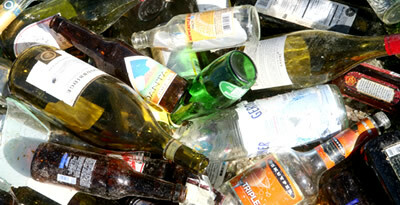 If you have anything that is different from your typical jar or bottle, it cannot be recycled. See below for ways to reuse special glass items like eye glasses. Did you know…Lids Need to be Removed? Yes, please. Usually lids are made of metal or plastic and they can damage the glass crusher if left on. Did you know…Bottles and Jars Need to be Clean? Food residues contaminate recyclables. Lightly rinse in a 3 second rinse and shake, or leave to soak.